Matt Ruff’s 2016 novel Lovecraft Country is being adapted into a TV series for HBO, with the Oscar-winning Jordan Peele, director of Get Out, and J.J. Abrams, creator of Lost and director of Star Wars: The Force Awakens, executive producing. Lovecraft Country follows 22-year-old army veteran Atticus Turner on a road trip to the manor of Mr. Braithwaite in New England to find his missing father, accompanied by his Uncle George and childhood friend Letitia. On the way to the manor they encounter both mundane terrors of white America and malevolent spirits that seem straight out of the weird tales George devours. But that’s nothing compared to what confronts them when they reach their destination . . .
Jonathan Majors, who appeared in the 2017 film Hostiles with Christian Bale, has been cast in the lead role, alongside Courtney B. Vance, Elizabeth Debicki and Jurnee Smollett-Bell. Peele’s company Monkeypaw Productions and Abrams' Bad Robot will produce. 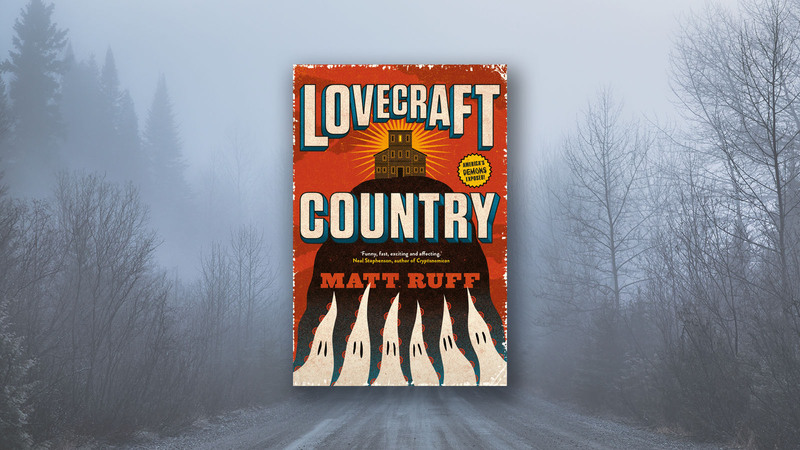 An imaginative blend of magic, power, hope, and freedom that stretches across time, touching diverse members of two black families, Matt Ruff’s Lovecraft Country is a devastating kaleidoscopic portrait of racism – the terrifying specter that continues to haunt us today.